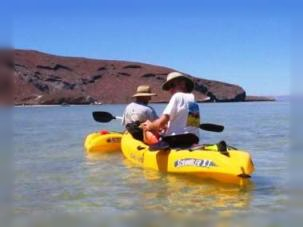 Our kayak tour will offer you the chance to admire the beauty of the contrast between the sea and the desert, as you paddle along Pichilingue coastline towards Balandra Beach (two of the best beaches of La Paz Bay). 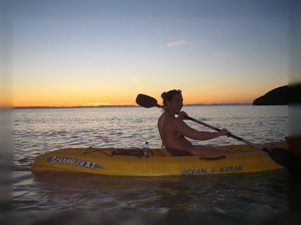 Our starting point is either Pichilingue or Balandra Beach to paddle for about 4 miles; on the way you can also stop for a short snorkeling at the old light house, where a small sea lions family lives). 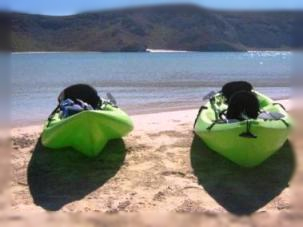 Finally, as soon as we reach the beautiful white-sandy Balandra Beach, a delicious “carne asada with guacamole and salsa” awaits you, so you can get your nice belly back!